Biryani at its best with something with nothing in lunch or dinner at home or every time we enjoy it like first time we are having till the last spoon. Yesterday night I planned to cook chicken curry and rice but suddenly two of my friend arrived, so I thought why not some chicken biryani for them. 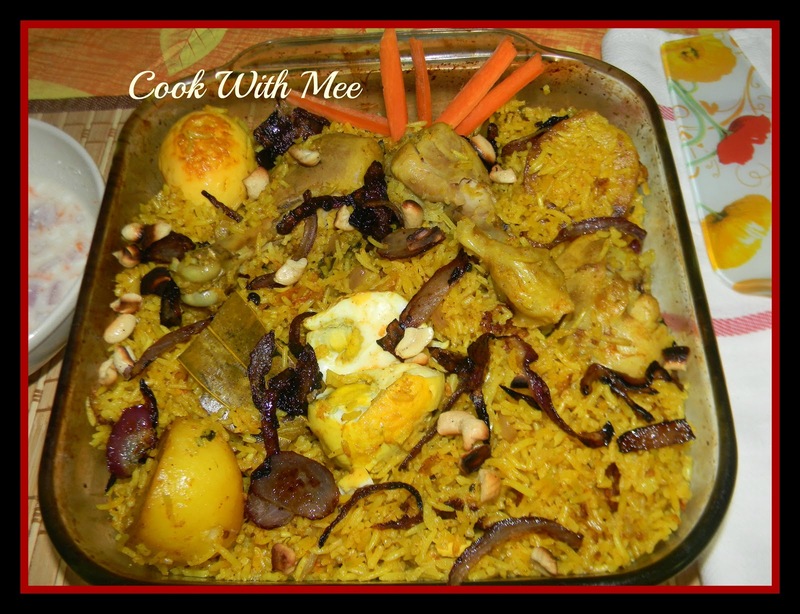 So just very quickly I made a nice Easy Chicken Biryani for dinner. And it’s really turned good. Normally I used to make one side dish for biryani but last time I didn’t have time for this so just made some Raita and served with biryani. 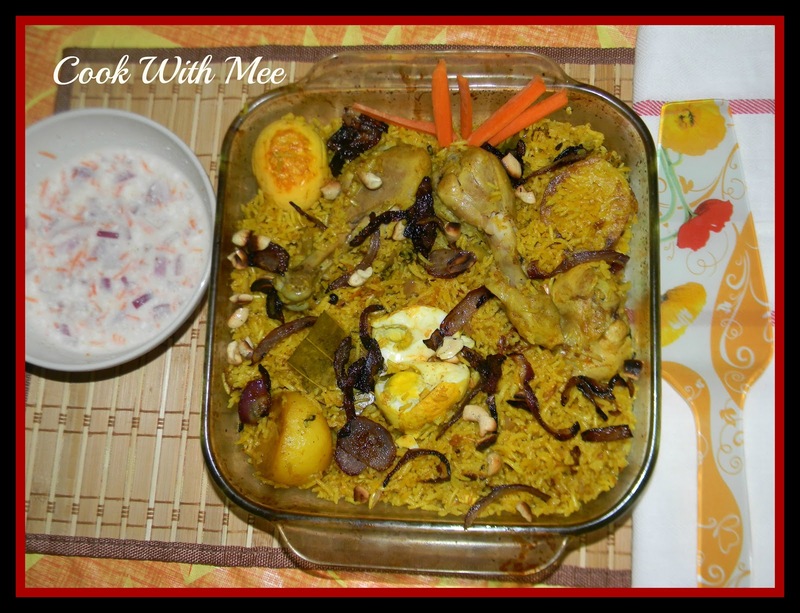 For any unplanned dinner you can surprise your guest with this easy Biryani. 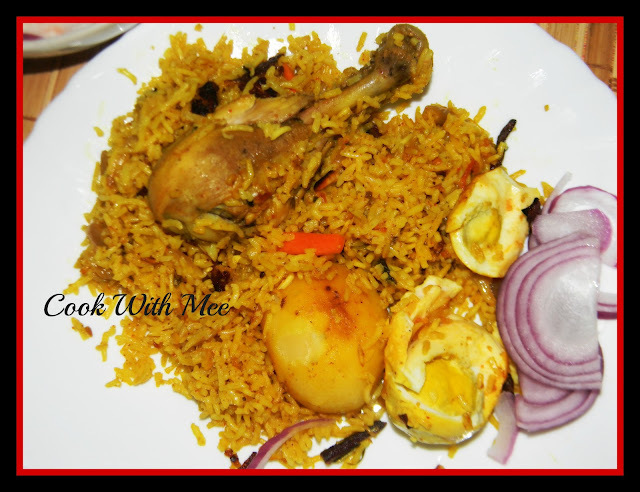 Kolkata is famous for some authentic Biryani, whenever I cook biryani at home I really miss my Kolkata. 2.One table spoon ginger and garlic paste. 4.Half tea spoon turemeric powder. 5.Half tea spoon Red chili Powder. 6.One tea spoon Any Biryani Masala (I used Everest Shahi Biryani Masala). 3.Potato : 4 pieces. 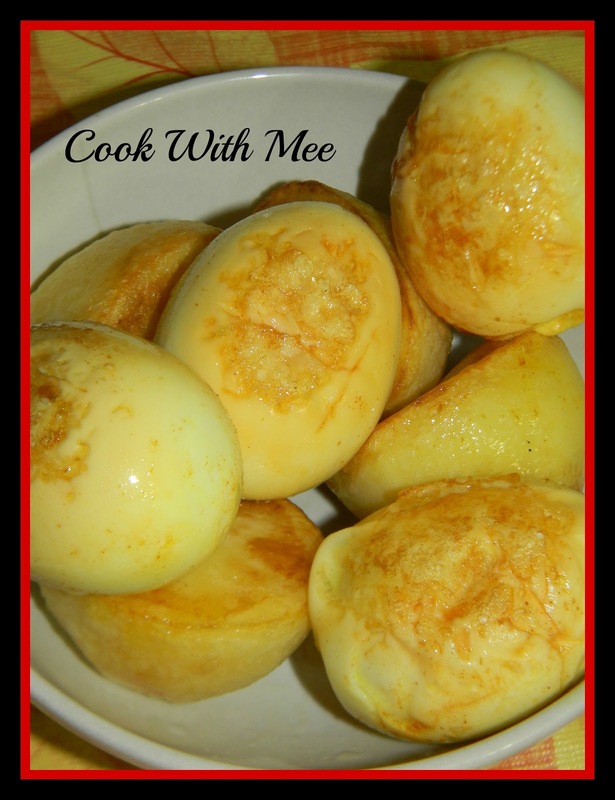 (Cut one medium size potato in two pieces). 5.One tea spoon ginger & garlic paste. 7.Four to five split green chili. 10.Few chopped coriander leaves, Few chopped Mint leaves. 11.Turmeric Powder, Red chili Powder, Cumin Powder, Coriander Powder (one tea spoon of each item). 12. One tea spoon Any Biryani Masala (I used Everest Shahi Biryani Masala). 13.Whole Garam Masal (Two Bay leave, 4 clove, 4 cardamom, One cinnamon stick, Few pepper corn. 15.Few Drop Meetha Ator and Keora Water. 17.Sunflower oil for cooking, Two Table spoon ghee. Marinate the chicken with all the ingredients for 30 mints. Marinate the eggs with little turmeric powder and salt .Now in a big flat vessel and some oil and fry the egg pieces till it turn brown. Now fry the potato pieces till it turn brown. Keep them aside. Wash and soaked the rice for 5 mints. Now add some more oil and ghee in the vessel and add all whole garam masala after few seconds add the sliced onions and green chilies and fry till the onions are become transparent. Now add the chopped tomatoes and cook for some time, then add the ginger garlic paste with some salt and sugar along with the all spices powder and cook till the oil separate. Now add the chopped coriander and mint leaves and mix well. Finally add the marinated chicken pieces and cook till the oil came out. Now add the curd and mix well. Now add the fried egg and potato pieces and mix well with everything. in medium heat till the water 80% evaporate then cook for another 6 to 8 mint in very low flame). Served hot with Raita and Salad.